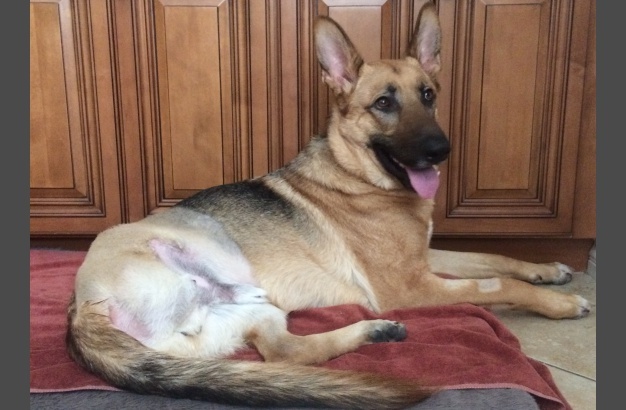 1 year old Griffin had been hit by a car and had a badly injured leg. It had been broken in three places – shattered actually. GSROC heard of his plight from a local shelter. They pleaded for us to help him – how could we say no? 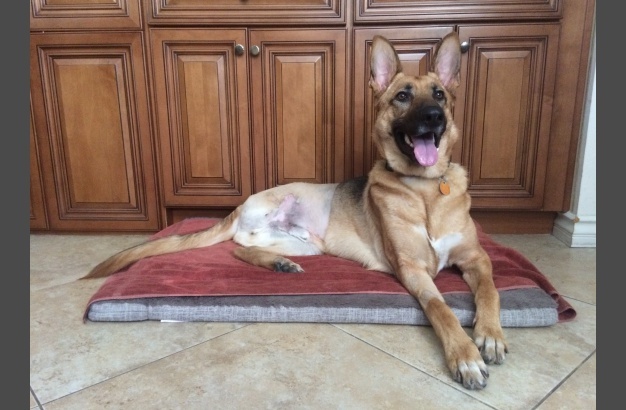 Griffin endured surgery to save his leg but ultimately, infection set in and he required an amputation. 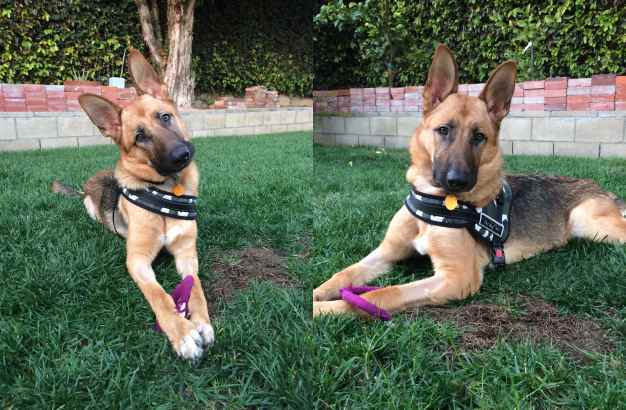 Griffin has been in a GSROC foster home during his recovery and is now ready to find a home of his very own. 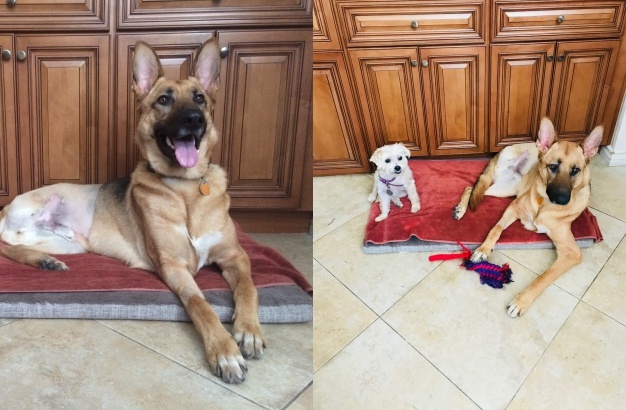 He is living with a small dog and gets along with him fine. Griffin is a young guy and athletic. He hasn’t been bothered by the loss of his leg. If you are ready to have a good time, so is Griffin. male If you would like to meet Griffin, please complete the online application and an adoption counselor will contact you.